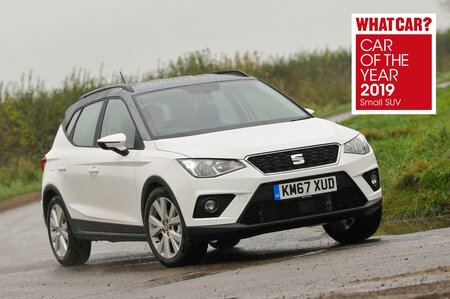 Seat Arona 1.6 TDI SE [EZ] 5dr 2019 Review | What Car? What Car? will save you at least £1,466, but our approved dealers could save you even more. Even entry-level SE trim gets you 17in alloys, cruise control, air conditioning, automatic headlights, a contrasting-coloured roof and metallic paint. However, we’d still recommend upgrading to SE Technology; this get you a much better infotainment system as well as rear parking sensors.